Walking with a difference! If you enjoy walking, or in this case rambling, you will undoubtably enjoy waking with a pony in the beautiful Welsh countryside. 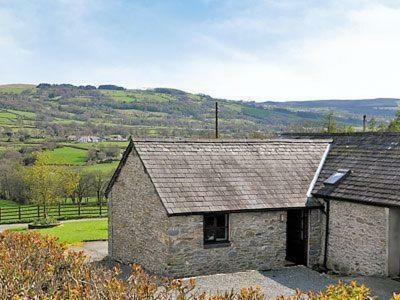 We are situated within the Teifi vally at the the foot of the eastern end of the Cambrian Mountains, known as the 'backbone' of Wales. It is still a relatively unspoilt and undiscovered area of great beauty, history and tranquility. These walks are a perfect opportunity for photographers, bird watchers, flora and fauna enthusiasts and all round nature lovers. The countryside varies between rolling hills and valley's, rivers and woodland to the more open and rugged mountans. The mountains are an upland area that supports valued habitats, including bogs, heather moors, lakes and forests. Wildlife species include otters, the odd red squirrel and red kites. This part of the Cambrian mountains was the last refuge of the red kite in the 1930's; they are now thriving and their aerobatics are a regular site on the walks, along with buzzards and sparrow hawks. The ponies walk at a gentle pace and are great companions to help you relax, have fun and get some exercise - and will carry your picnic into the bargain! We have a team of well-trained, quiet, friendly ponies to suit all ages and abilities even those with no horse experience at all. Length of walks can be tailored to your requirements.